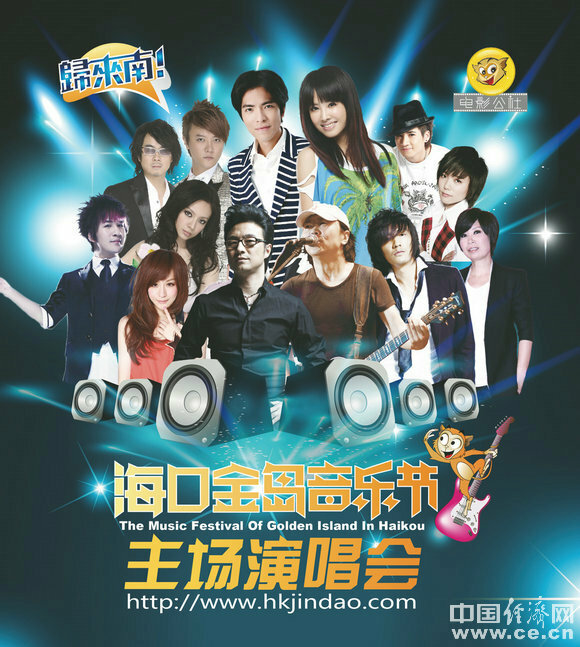 The first Musical Festival of Golden Island in Haikou is set to take place from March 30 to April 1, 2012 at Haikou Sports School. Starting from March 8, a national music celebration performed by three groups of singers and dancers from home and abroad has toured in 12 cities in the country for 20 days, including Beijing and Guangzhou. The event has injected Hainan-style elements to publicize the international tourist island into the music festival. Pop singers have been confirmed to offer audience outstanding performances during the three-day event including International band Horizon from Australia, Jolin, Xiao Jingteng and Wang Xinling who com from Taiwan, mainland popular rock musicians Cui Jian and Wang Feng, famous singer Pu Shu, coupled with dozens of other local and foreign singers.